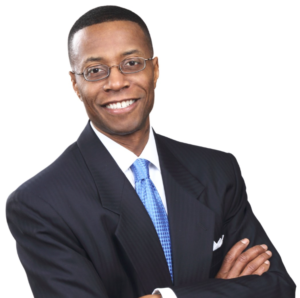 Darryl Franklin, Ph.D. helps his clients not only dream big, but bring those dreams to reality as a financial planner, portfolio manager, and coach. Drawing upon his background as a seminary-trained, ordained clergyman, Darryl aligns his faith with the fundamental need to plan for the future, providing a perspective that others often miss. Known for his empathy-driven yet analytical approach to financial services, Darryl is a thorough and insightful adviser. His practice is predicated on a three-step model that begins with planning, moves into how wealth grows and is protected and ultimately translates into building a legacy. From the initial planning phase, he is adept at isolating market opportunities that others often miss, providing strategic direction to investors seeking to preserve their assets and optimize their outcomes. Committed to the community, Darryl serves in the local church and is a former local school board member. He currently serves on the Board of Trustees at his alma mater, Garrett Evangelical Theological Seminary. Darryl also shares his unique life experience in his lectures, teaching, and writing with an emphasis on helping individuals reach their full potential. Darryl Franklin earned a B.S.C.S. from the Illinois Institute of Technology, a M.Div, from Garrett Theological Evangelical Seminary and a Ph.D. from Benedictine University. Lean more about Darryl and his commitment to your success and a “worry-free” retirement.